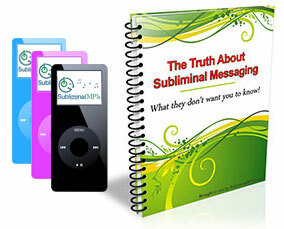 Use this subliminal album to help boost your self esteem naturally - from within. Are you socially withdrawn, lacking social skills and self-confidence? Are you unable to accept compliments? Do you neglect yourself and your well-being? Are you reluctant to trust your own opinion? Are you expecting little out of life for yourself? Would you like life to be a better experience, and the world a better place for you? A low level of self esteem means that you are limiting yourself - you have a lack of belief in yourself, and this lack of belief stops you from doing things, makes you more introverted, and holds you back in all areas of your life. If someone approached you now and told you how great you are - you wouldn't believe them. The negative and limiting patterns of thinking that exist within your subconscious prevent you from believing anything opposite to this destructive belief you have developed. That's why subliminal messages are so effective when trying to change this kind of thought patterns - they enter the subconscious directly and create the new, positive thought patterns from within, gradually but effectively. This subliminal messages album aims to boost your self belief, make you comfortable with yourself, and develop a positive self image. It works by sending positive suggestions to your subconscious, so that you don't even know they get in - you can't hear the messages as they're just above the conscious hearing level, so your mind can't stop them from entering and re-creating a positive self image. The change won't happen overnight but as the subliminal messages build in your mind after a week or two of playing regularly they will start to spill over into your conscious mind. You will start to see yourself in a better light, and you will start noticing changes in your inner confidence and self beliefs. Notice that you're more confident in relationships with other people. You will become more outgoing and assertive and you'll find yourself talking to people with ease. You will notice that others look differently at you, and you'll start looking for company of others instead of avoiding it, as you'll discover that hanging out with people helps you to affirm your value to yourself and to them. Start paying more attention to yourself and to what pleases you and benefits you. Your new found self esteem will push you to work on improving yourself, even to pay attention to such small things like what you wear. As your level of self esteem rises, you'll want to show it to the world; you'll enjoy becoming the best version of you and you'll take pride in working on it. Find yourself expecting more out of life. You will no longer diminish your expectations out of life and of yourself - as you become aware of your value and accept it, you will start seeing and seizing the opportunities to live your life to the fullest! Get started today - develop a natural and healthy level of self esteem and make a significant improvement to all areas of your life.